It’s been 30 years since Glam, Proto-Punk, and Bubblegum burned up the music charts. Even then it was a brief flareup, especially in the US where Gary Glitter and his ilk were mere hemorrhoids on the Billboard Top 100, quickly extinguished by whatever new tune the Eagles, Led Zepplin, the Jackson Five, or the Carpenters cranked out. 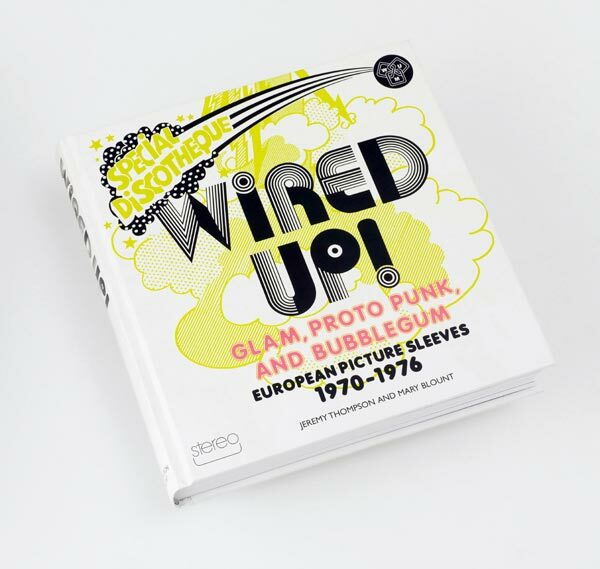 Nonetheless, the recently published book Wired Up! 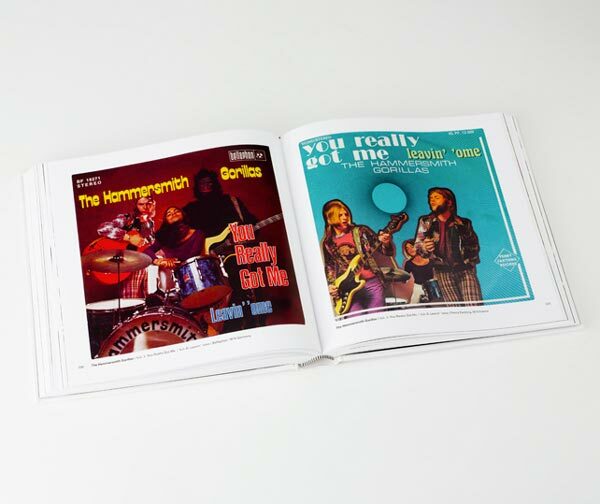 pays tribute to these lost soldiers in the rock ‘n’ roll war with beautiful, faithful reproductions of sleeves of 45s released in Europe from 1970-1976. Given that Wired Up! is a book of record covers, the most obvious way to approach this is by gawking at the outlandish, supremely ridiculous get-ups these bands wore. Hector, the band whose song the book is named after, wore bib overalls and striped shirts and painted giant freckles on their faces like lifesized Raggedy Andy dolls, finishing off the look with the obligatory platform boots. A number of bands opt for a glittery, mullety outer-space look, while others are just 1960s detritus washed up on the shore of the ’70s—fried hippies and blitzed-out wannabe bikers. Even though this book is a purely visual experience—any record collector knows Europe always has the coolest, weirdest picture sleeves for 45s—the real payoff comes in getting into the actual music on these records. Easier said than done. The first 500 copies come with a reissue of Hector’s 45, “Bye Bye Bad Days” b/w “Wired Up!” It’s a corker of a record, but beyond that, you’re left to days of YouTube searching—or spending hundreds of dollars on eBay to track down the original records. These are the covers that helped sell songs that are now stomping arena anthems, songs built for revving up huge crowds. Think Gary Glitter. Maybe Slade. Suzi Quatro. And then there are dozens of bands in here who never really hit American airwaves, yet sold thousands of records in Europe. Wired Up! reprints a small number of interviews with a few bands, which give a touch of much needed context. If you’re not familiar with the bands, the interviews here don’t really give enough background. And even if you are familiar, the interviews leave you clamoring for more. Really this book acts like a magnifying glass on a relatively small group of record collectors and music fans who find solace in music blogs like PurePop and Crazee Kids Sound. To get specific, if not a bit esoteric, this book showcases sleeves of singles released in Europe in the era after Altamont killed the sixties, but before punk burned the house down. And if you listen, despite ’70s punks’ loud disdain for any music that came before, you can hear the early rumblings of punk here. Heavy, simple riffs. Snarling vocals. Stripped down, revved up rock ‘n’ roll. Sure, there are some disco and bubblegum turkeys in here, but overall it’s a great visual documentation of a nearly forgotten era of music.